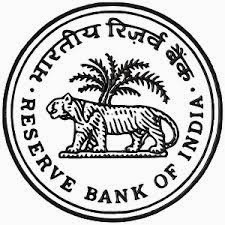 RBI Research Officers, Manager & Asst Manager Vacancies :Reserve Bank of India (RBI) has issued notification for the recruitment of the Research Officers in Gr. 'B' for DEPR, Research Officers in Gr. 'B' for DSIM, Assistant Manager (Rajbhasha) in Gr. 'A' and Manager (Technical-Civil) in Gr. 'B' positions. Age Limit: Candidates age limit should be between 21 and 30 years (candidates must have been born not earlier than 02-01-1984 and not later than 01-01-1993) for Post No.1 to 3 and between 21 and 35 years (candidates must have been born not earlier than 02-01-1979 and not later than 01-01-1993) for Post No.4 . Age limit should be reckoned as on 01-01-2014. Age relaxation will be applicable as per the rules. Date of Closure for Edit: 17-02-2014. Starting Date for payment of fees at Bank Branches (Off Line): 23-01-2014. Last date of Payment of Fees – Off-Line: 21-02-2014. Last Date for Reprint of the Application: 03-03-2014.